It`s an easy recipe, and the good thing is that if you`re planning to make it for a holiday, you can make it a few days ahead. It stores perfectly in the fridge, for about 5 days. First, we prepare the chocolate layer. Use a hand-mill to crumble the biscuits. Then, boil the water with the sugar, until the sugar is melted. Meanwhile, put 500 gr butter (cut into small pieces), and add it to the biscuits. When the sugar is melted, pour it onto the biscuits. And now you have to mingle everything very well. I recommend doing this with your own hands. It`s easier to mix everything well. Make sure that the butter is fully melted before you stop. I know this doesn`t sound very appealing, but it`s the best way you can do it. For the coconut layer, put all the ingredient together and mix it well using a wooden spoon. From this recipe, you should have 5 rolls. This depends on how big you want to make them. So make sure you split evenly both compositions, depending on how many rolls you want to make. I used those normal plastic transparent bags (the ones I use to put sandwiches in). I cut them on both sides, so I had a rectangle shaped bag. Now, moving on assembling the cake. First, you put the chocolate layer. This might be a little hard to spread all around, but make sure you water a little your hands. In this way, it will b easier. Try to make a rectangular shape so it will look more nicely when you will roll it up. And then, spread out the coconut composition, using the wooden spoon. 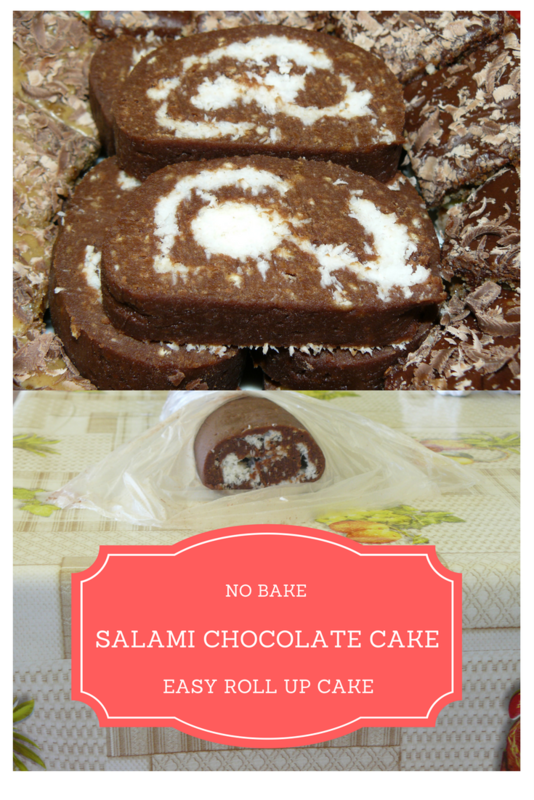 Just roll up your delicious salami cake. Make sure you roll it up tight and tie up the ends using thread or whatever comes in handy to you. And now comes the hardest part (at least for me). You have to put the rolls in the fridge for at least 10 hours. I usually don`t resist so much, so after a couple of hours, I have to taste it :) Although, if you don`t leave it enough in the fridge, it will be very difficult to cut it. Trust me, been there, done that! What do you think about this delicious cake? Would you give it a try? Don`t forget to pin/share if you like it! I`m linking up with these great parties, come and join us. These remind me of a pinwheel cookie, as they have a chocolate and a white layer. Delicious with coffee I bet. Yes Leanna, it`s delicious with coffee! 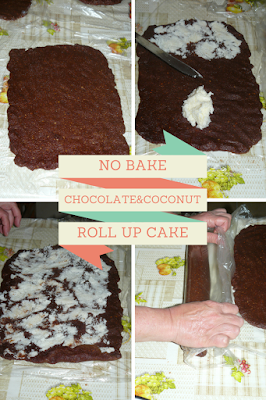 It sounds wonderful and anything no-bake is great for this summer weather, as my husband is forbidding me to turn on the oven...Thank you for sharing at The Really Crafty Link Party! This sounds easy and yummy! I would love to try it..
Looks so yummy.. I will definitely give it a try, for this - ingredients are seems not that expensive and most of all I don't need to bake. Thank you for posting this. This sounds amazing! I'm going to have to give it a go, especially since I don't have to bake it! let me tell you, you've hit the nail on the head. The issue is something not enough people are speaking intelligently about. This post is fantastic. I really want to make them now! This cake looks too good to be a no bake. It is amazing that it needs no baking, perfect for summer. This looks rather tasty. I'm a fan of all things chocolate, so I need to make this one day! This post is very nice. This sounds amazing!Thanks for sharing this yummy recipe. Omg yum! This looks so easy to make and it looks so good! I'm all about no bake recipes! It looks so delicious. I never knew a cake could be prepared this way, I will try it at home. It sounds great -- except for the coconut. No one in my family is a fan of coconut so I would have to find a substitute or maybe try without it. Have you ever done that? Would it work without the coconut? Thanks! You can substitute the coconut with nuts,hazelnuts, almonds. The taste will still be amazing! What a tasty looking cake! I'd definitely love a slice of that and will have to give making it a try! Hey, this is a perfect snack for my school kids. I love to do this for them. thanks for the share. Wow this is an interesting cake. I like the concept that it is no bake! This cake looks so delicious and I will give it a try soon!! I have seen similar recipes but never with coconut. Looks so good, I have to try some day! Wow! That looks so yummylicious! I would love to try that. My daughter loves cake I’m sure she will like that. But the ingredients like coconut just hard to find as I don’t see a grated coconut in the grocery here unlike when I am still in the Philippines coconut is everywhere. It doesn't look very difficult but definitely tasty! Gosh! This looks delicious and super easy! Would try to make this this week! Sounds super yummy I have to give it a try ! This no bake cake sounds and looks like a winner. Where was this for the summer, lol. Love the no bake part. This is entirely new specusp of the cake. I didn't herh this till now. Thank you i m gonna try it. OMG! This recipe is so delicious and your pictures are just making me more hungry! Thank you and I am surely going to try it! My husband would love to try this! He is my little baker anymore! This looks yummy! I will try this recipe this weekend! 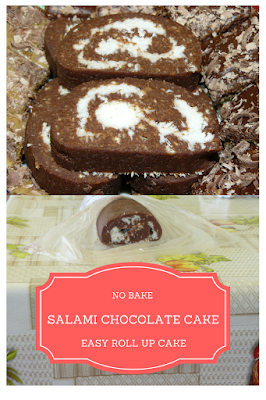 i never heard the term "salami cake" before. interesting. also, any suggestions for alternatives to coconut? wow great help to keep this cake made at home.